I'm feeling tired and short on words lately, so I'll let my pictures do the talking. 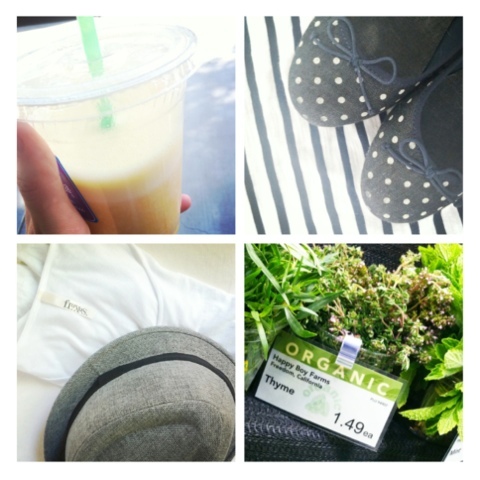 I've been drinking orange-pineapple-ginger juice, combining dots + stripes, buying fresh herbs, and wearing lightweight tunics and a hat. AKA things that keep me sane throughout final exams.